What do authors do before their books come out? My third book, Unicorn in New York: Louie Lets Loose!, is released on February the 4th and I’m a bit excited. So excited, in fact, that I can’t think of anything else to write this month’s blog about. So unicorns it is. Since I’m completely unicorn-headed (my horn’s in the post) I thought I’d share a bit of what I’ll be up to in the weeks before the book comes out. Obviously the most important thing to do is organise the party. The best thing about living in two countries is I can have two celebrations. I am having a UK party in Lincolnshire, where most of my family live, because we had so much fun launching The Case of the Exploding Loo there two years ago. 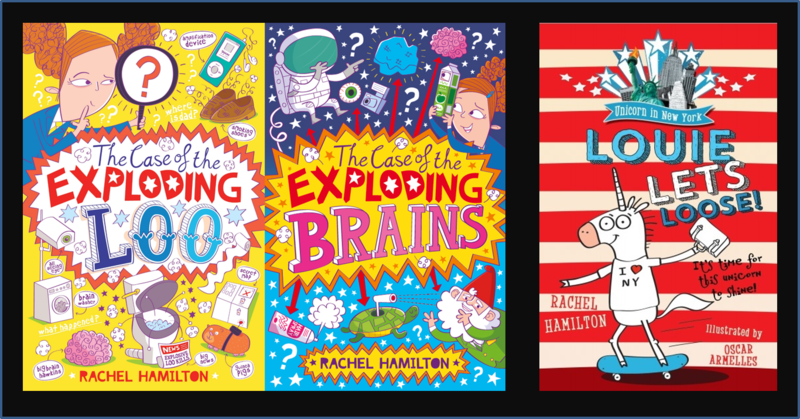 Then, in the UAE, I’m appearing at the Emirates Airline Festival of Literature in March, so I thought I’d turn that into a launch party, as we had a blast (literally) launching The Case of the Exploding Brains there last year. With my previous books I’ve organised week long blog tours to coincide with each book launch, but they take a lot of concentration at a time that’s already busy. So this year I decided against it. If any authors or bloggers are reading this, I’d love to hear your views on blog tours and whether they work for you as I’m in two minds about them. I will still be doing a couple of things with some of my favourite bloggers, but they might not come out at exactly the same time as the book. Basically, everything is slightly less less manic. This gives me more time to organise school visits and workshops to promote the book, which are always fun. The most important thing is to get on with the next book! The second Unicorn in New York book is almost ready for its August launch. So I’m busy working on the third and fourth stories in the series. But, if I’m honest, I’m so excited that all I’m really doing is counting down the days until Louie the Unicorn’s birthday on February 4th, when Louie will let loose.